I realise that I’ve baked from France already, but the more I think about what I could bake, the more I realise that I want to bake everything that I’ve never tried before. This could actually be an impossible task. Alas a girl can’t survive on cake alone, although she can give it pretty good go, I must bake something savoury. 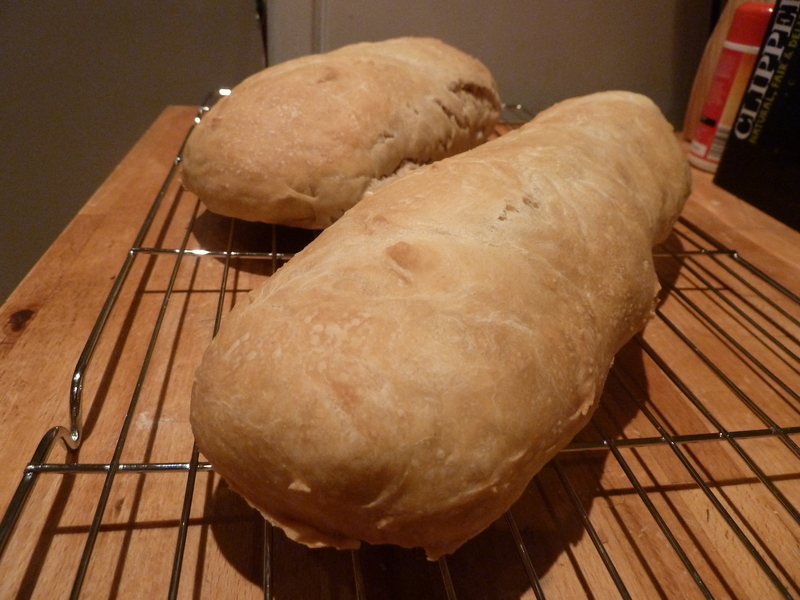 I’ve made bread before, mainly in cookery class at school and the odd occasion at home. It usually turns out more like a solid brick, so dense I could probably hammer nails in with it. So I wanted to try something that is actually supposed to be crunchy. Now I must admit the weekend I conceived the Around the World in Eighty Bakes idea I had began a baking frenzy which did involve baking a plaited loaf. To pay hommage to the Great British Bake Off (yet again) I thank finalist Holly for the wonderful tip of adding a dish of water to the bottom of the oven. Amazing tip! 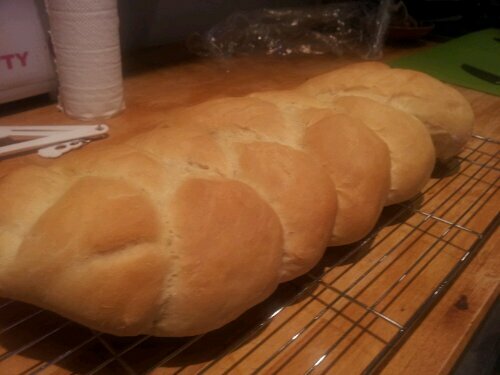 Soft bread! 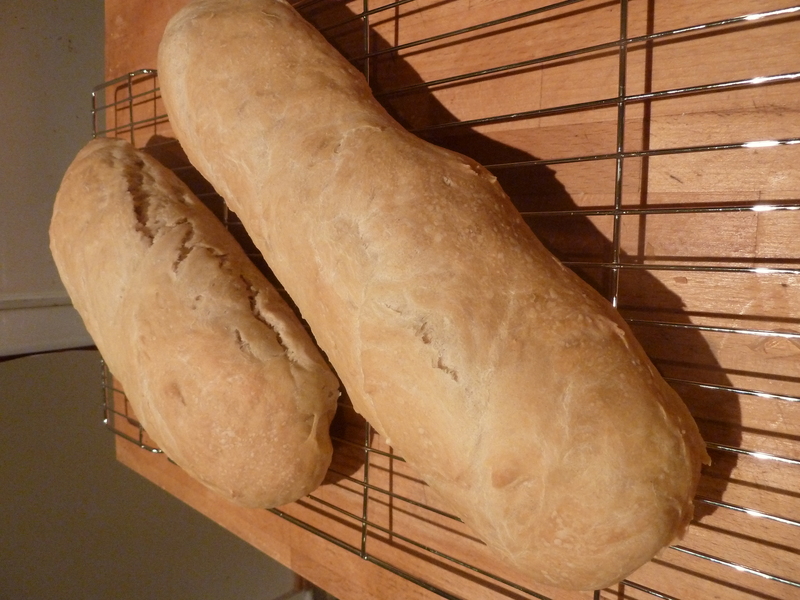 A quick google and I found a Paul Hollywood baguette recipe to have a go at. (Thanks for the recipe!) I don’t think it’s the full recipe, so in hindsight it’s more akin to a technical challenge on GBBO with some of the steps missed out. I didn’t really think about the consequences and carried on regardless. Needless to say the dough was not proved in time for baking so I left it all day to rise instead then finished them when I got home. 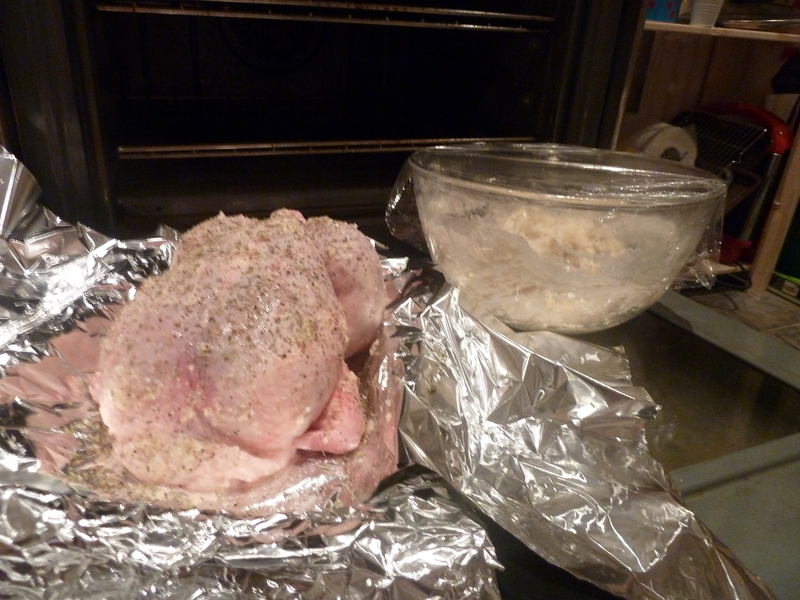 It probably had an extra 10 hours of proving time (not sure what Paul Hollywood would say?!) and I had to do a bit of substitution. I didn’t have any strong flour so just used plain (this is probably a mortal baking sin) and no fresh yeast so a sachet of dried fast action yeast instead. Epic fail. 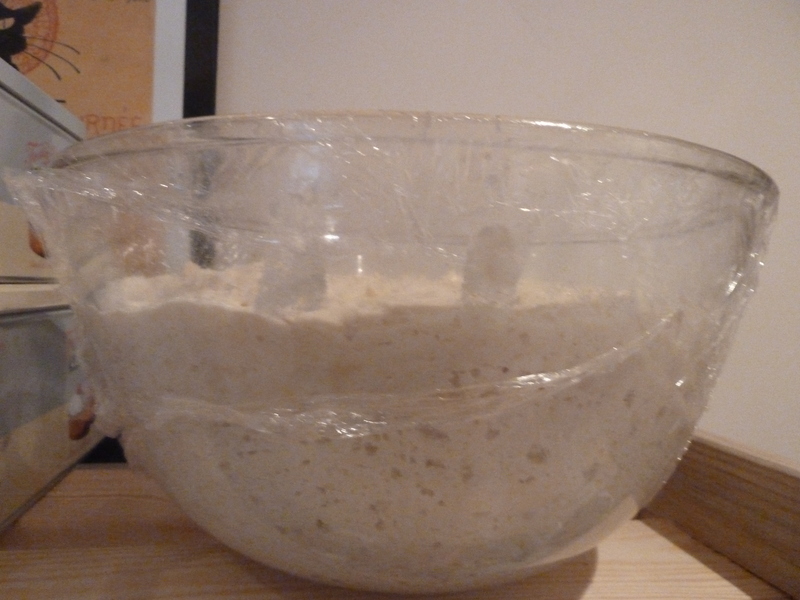 The dough was very very sticky. 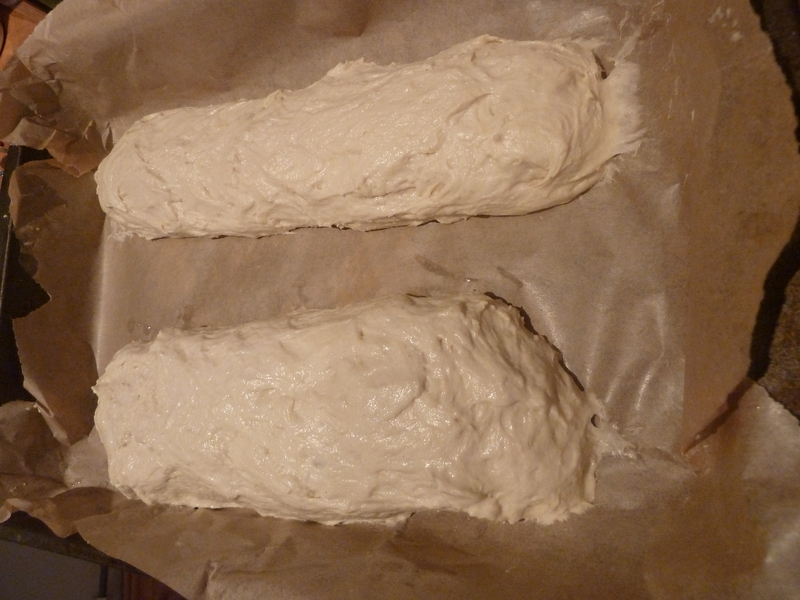 I didn’t think (or dare to deviate from the recipe) to grease or flour the baking paper in case it changed the consistency of the bread. This resulted in two baguette like breads being welded onto the paper. 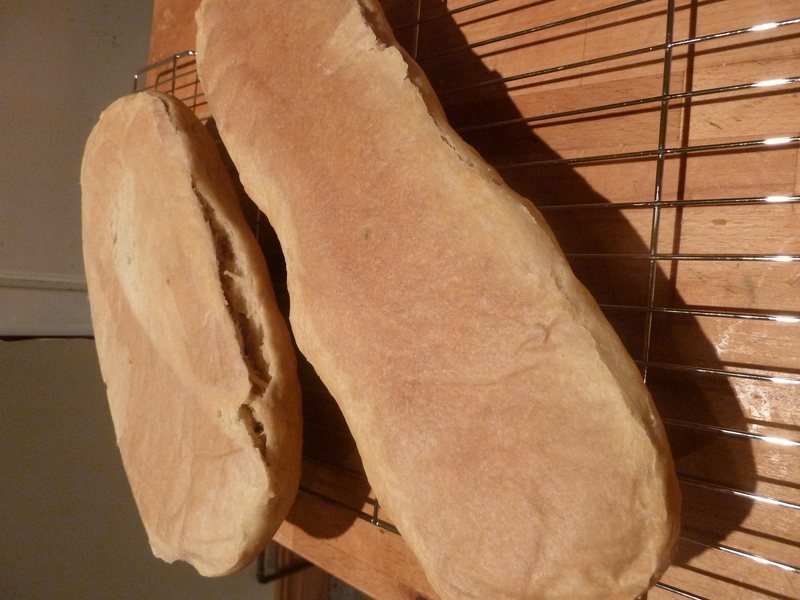 In fact I think the paper has now become one with the bread. 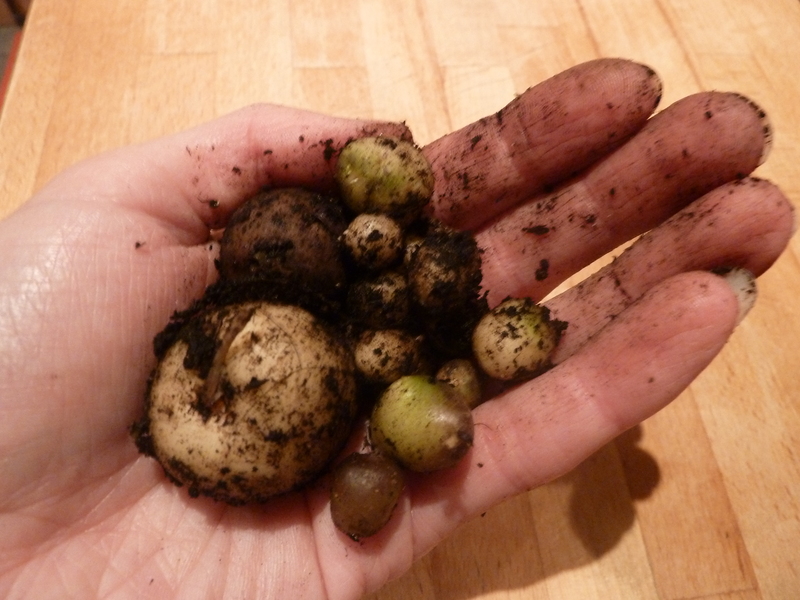 Try as I might, I can’t prise them off the paper. Curses!!!! I’ve learnt my lesson. Follow the recipe but use common sense too. I sampled a slice and it (or the top) does indeed taste very baguetteish. 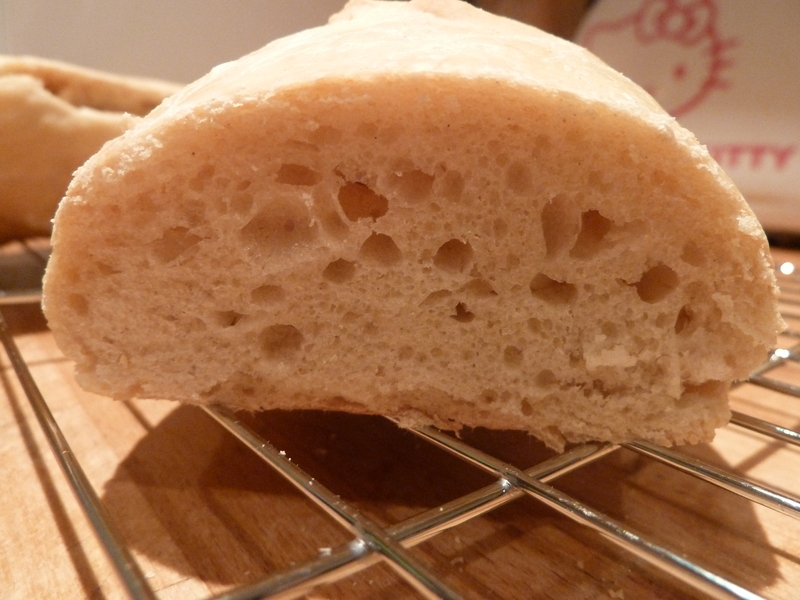 It’s a lovely soft butter texture and a bit of a crunch outside. The water worked yet again. These baguettes are tasty but must be eaten with a warning. Do not consume the bottom. Must do better next time….